The backyard had a nice size deck and play area taking up much of the backyard. The site was fairly flat with a slight rise in slope from east to west. The height of the concrete framing surrounding the bilco door is at a low point in the construction area. 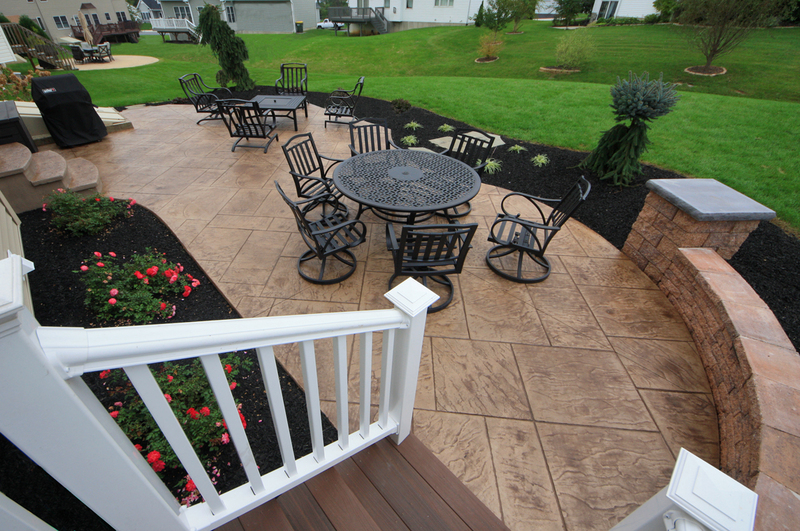 Remove the deck for a more open backyard experience. Eventually remove the swing set. 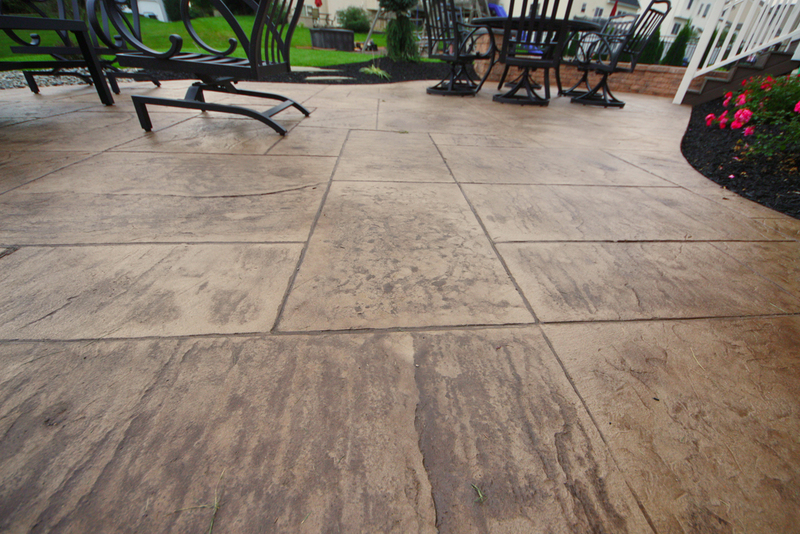 We installed stamped concrete patio with matching decorative steps. Since the bilco door was at a low point and cannot be changed we decided to keep the patio one tier instead of breaking it up into two tiers. 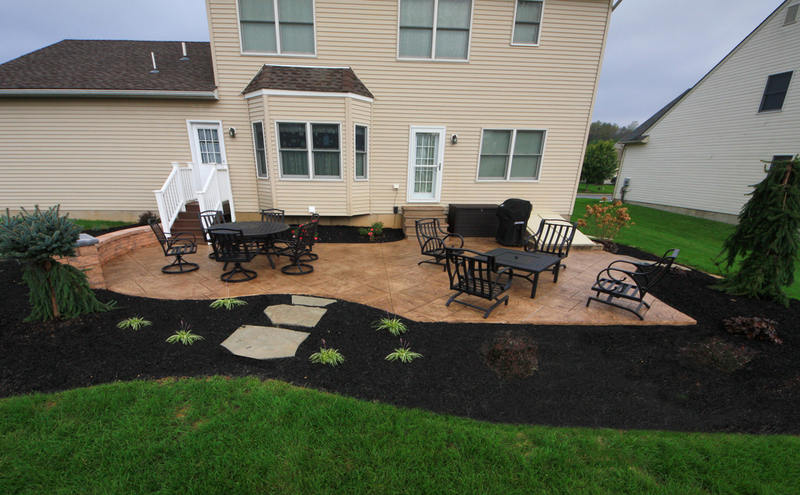 Creating two tiers with a patio this size would create two small congested areas, something we wanted to avoid. We simply added step to the set of steps and had an extra step installed on the composite deck steps on the western side. 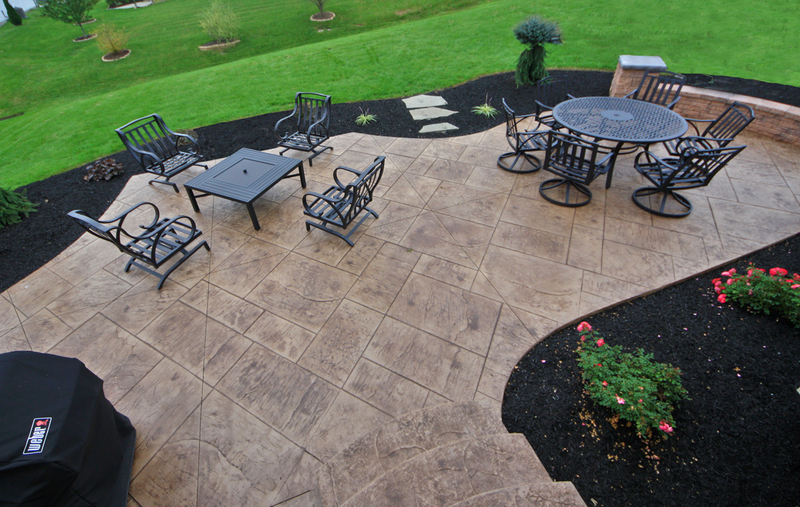 The height of the patio created a slight pitch to the yard. 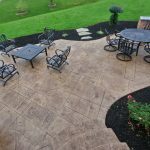 Our client decided to eventually add low lying decorative wall for added seating to that area and surround the patio with landscaping. 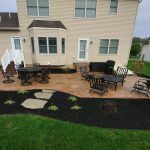 Our client decided to eventually add low lying decorative wall for added seating to that area and surround the patio with landscaping.